Hotel Victoria Inn provides rooms that have been decorated taking into considerations the need of modern travelers. The hotel is situated on the Diamond Harbour Road in Alipore in Kolkata. The rooms are spacious and have been done elegantly in dark shades. The upholstery matches the walls, adding a charming vibe to the space. The additional features provided by the hotel are free Wi-Fi, an uninterrupted power backup source, an elevator facility, and card payment in all forms. The in-house facilities comprise a common dining room, a banquet hall, and a conference room. The front desk service is also elegantly decorated and is handled by helpful and experienced staff. 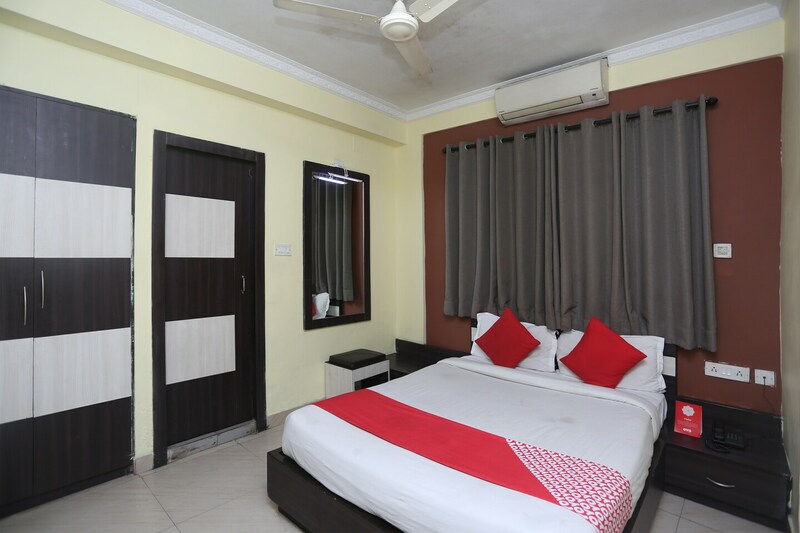 The hotel is surrounded by a number of essential facilities such as Mourgange Bus Stop, Netaji Bhavan Metro Station, Chocolic, Garden Cafe, and Metro.